Very enjoyable. Looked after us very well. Great location. Would definitely stay again. An enjoyable stay with pleasant, friendly staff - including cleaning lady, maintenance man and dining room staff. Great service as usual. I really appreciate your helpful & welcoming front desk staff. Pleasant & willing to help. It was another great trip to Melbourne. As I said last time- I'll definitely stay here next time...& I did! Thank you Alto Hotel staff- being welcoming, polite & helpful changes everything about a hotel experience. You make it easy for me to choose Alto again & again- win/win- I get a good experience & you get repeat bookings & great word of mouth. Just right! It feels as though you are staying in the guest room of a friend's home. Quiet, clean and fresh. Staff have continued to be perfect - a balance of being natural and professional. A genuine interaction, not the corporate smile. Local knowledge and helpfulness much appreciated. Lovely friendly reception staff setting just the right tone. Great location, good value for money. Mine was a business stay but I would consider staying here for holiday/travel. Very pleasant. Great location. Loved that it was carbon neutral but none of the amenities suffered. Only downside (and a very very minor one at that) was the key cards don't work if they've been near your phone or you've done a lot of shopping. Given my wallet is my phone case, this was everytime. hotel rooms were on the small side for an extra single bed as well (but that's understandable). Apart from that: Excellent. Would recomend to anyone. Quite simply could not have asked for anything else. Great location, comfortable room, beautiful meals and environmentally conscious. A lovely, comfortabe, unrushed feel. A most enjoyable stay with every comfort provided. 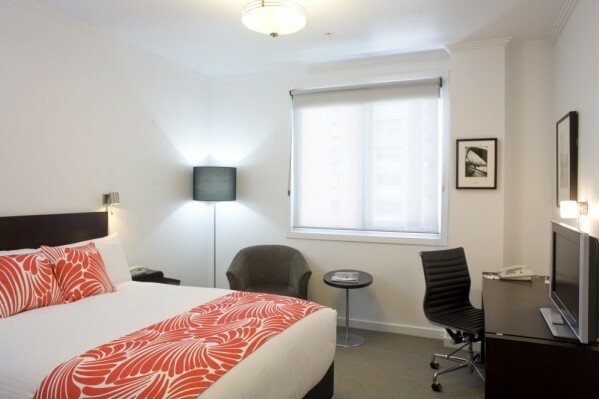 The convenient location, excellent breakfasts and restful room were just a few of the things we appreciated while exploring Melbourne. The upgrade to a 2 bedroom apartment was lovely and a pleasant surprise. I cannot fault The Alto Hotel On any point. I shall be recommending this wonderful hotel to my family and friends and look forward to returning very soon. Fantastic and the upgrade from a studio to a two bedroom apartment was just wonderful. My only slight criticism was the containers with the shampoo, body wash etc in the bathroom as I do prefer individual soaps. Appreciated extra features (WiFi and Microwave/Toaster) which some places don't offer for similar pricing. We were particularly fond of the hotels 'Eco' approach to things. Even something as simple as a recycling bin in the room, everywhere should have this! The Stuff were lovely & welcoming, It was the perfect location and we were given an up grade from Petite Queen Room to 1 Bedroom Apartment on arrival the apartment and facilities were fabulous will definitely come back & will recommend Alto to all my friends. Thanks Alto for such an enjoyable stay. Overall experience good to very good. From our point of view excellent location as the Southern railway station is 100m , there is a tram stop almost in front of the hotel and overall the hotel is located very centrally. It offers also a car park if needed. Our room was at the back of the hotel and one was looking at other buildings back. Another negative point is if you open the window (which we did) one could sometimes smell the window (our room was at the second floor). However iI have to point out at some hotels you can not even open the window and if I have the choice I prefer a hotel where I can open the windows. The dining room staff were excellent and very friendly. Made us feel very welcome. The room cleaners did a lovely job. I loved the crisp linens. The Eco green effort by the hotel was impressive. Breakfast looked and tasted great, however, may I say the coffee was not very good. The machine looked good but the coffee wasn't. Also in 5 days I did not see one banana. Perhaps you could put some bananas out at breakfast. Extremely happy with the stay. Have already booked to come back. Very nice stay. Comfy bed. Clean, quiet and relaxing place to spend a night after a day in Melbourne. Location is very handy to both centre of town and train/tram stops. Breakfast was excellent and well worth the added extra in upgrading from room to room+breakfast when booking. Would stay again next time in Melbourne. Fabulous! A big clean bed, hot relaxing shower, free wifi and newspaper were exactly what I needed. We were 3 couples staying in the 3 bed apartment. All of us were very impressed with the hotel! The staff could not have been more accommodating and friendly, the breakfasts delicious and the hotel facilities were top notch. Congratulations to all and thank you! I appreciate the quiet room and the boutique feel of the hotel. It is so much more pleasant than the large chain hotels. Please don't change this! Rooms are a bit small for the price but location and staff friendliness is very good. A fantastic hotel in a great location. Friendly and helpful staff. Delicious breakfasts. I will definately recommend to friends. Every aspect was outstanding. We will never stay anywhere else in Melbourne. My wife greatly appeciated the courtesy of the manager who made her tea while sitting in the lounge. We enjoyed our stay. Very quiet room. We liked the breakfast and free apples and coffee and tea. I loved staying at your hotel . It was better than expected. The only complaint would be that the door to the bathroom did not shut correctly. Fantastic experience as always. The hotel just keeps getting better and the customer service is first rate. Clean and environmentally friendly. Close to transport. Location suited my needs to be right at Southern Cross station since I was taking an early morning rail bus. I would stay there again if my need was to access Southern Cross. I appreciated the free upgrade and free wifi. Certainly these offers made me choose Alto rather than the competitor nearby. The bed was excellent as was the well fitted out kitchenette. The best hotel I have used in Melbourne. Very helpful, friendly, welcoming staff. I was staying for business purposes but i would most definitely come back with my family for a holiday stay. I have already recommended the hotel others. Terrific! Excellent showers and the free wifi is a huge bonus.